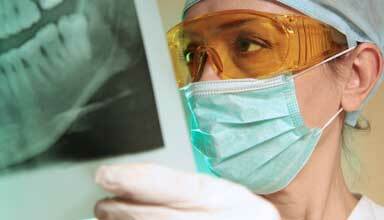 Bone grafts add bone to the jaw to prepare for dental implants. In the procedure, bone is added by transplanting your own bone (which may be taken from another site in your mouth or your body), donated bone or by using synthetic material. It can take up to nine months for the bone graft to properly heal before your dentist decides you are ready for dental implant surgery. For patients looking for an alternative to dentures or bridgework that may not fit well, dental implant surgery might be a great fit to get you a healthier smile. Our clinic is staffed by dental residents who are completing advanced training. Top services: dental implant, extraction, bone grafts, gum disease and gum recession treatment. Our clinic provides the evaluation, prevention, diagnosis and treatment of diseases of the gum and bone supporting the teeth. Top services: gum recession treatment, bone grafts and dental implants.